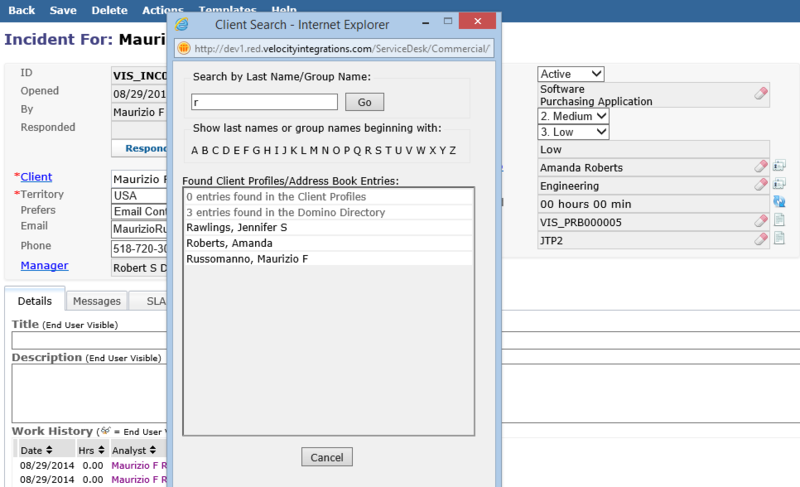 Integrations in the VI Service Desk - VIS, Inc.
Search and retrieve user information from your Notes Address Book. 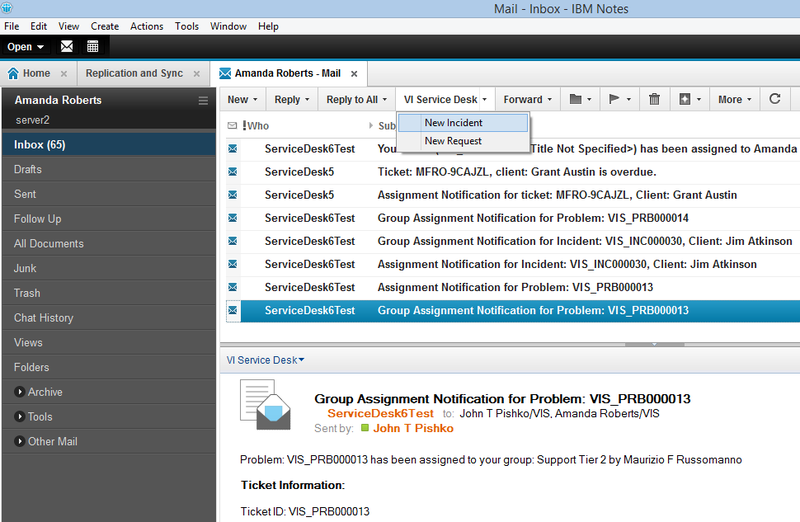 Send emails from your Notes Mail directly into the VI Service Desk for automatic ticket and bulletin creation. Our Mail Processor cycles through a list of rules you define to determine which emails are converted to tickets. 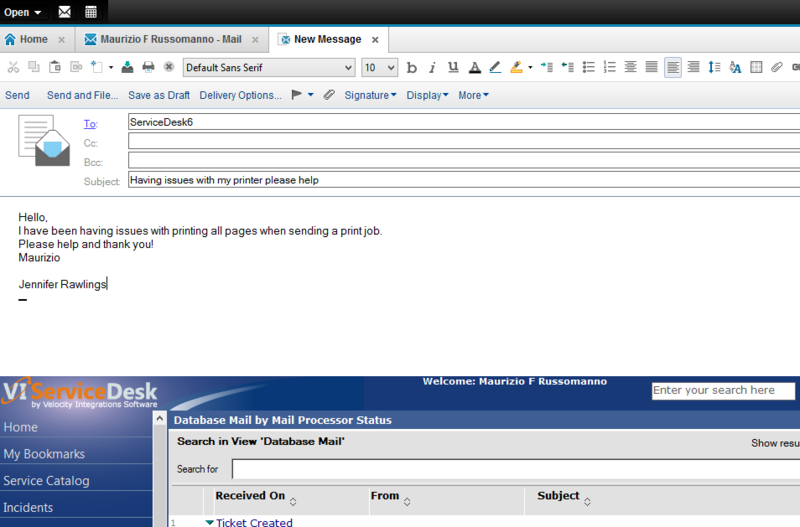 Using our Notes Mail Plug-in you can create Incident and Request tickets directly from your Inbox. The email you create a ticket from will be automatically imported into the VI Service Desk and linked to the newly created ticket. Authenticate with your organization's Active Directory and retrieve user information. Import data from Notes databases, Excel/CSV files, and relational databases. Build web services to communicate and share data with other systems.